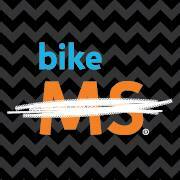 Team Amulet is dedicated to raising funds for the National MS Society (NMSS). These funds support research, programs and assistance for those living with multiple sclerosis. In the last 5 years, Team Amulet has raised over $250,000, contributing to the over $2 million the NMSS Oregon Chapter raised during this same five-year period. In 2014 alone, our team raised over $82,000. We can’t wait to top that number in 2015! We are an eclectic group of individuals, each with our own story. We believe as a group we can make a difference. Want to make a difference with us? Join or donate to Team Amulet! !